The story starts exactly 100 years ago (31st October 2017). 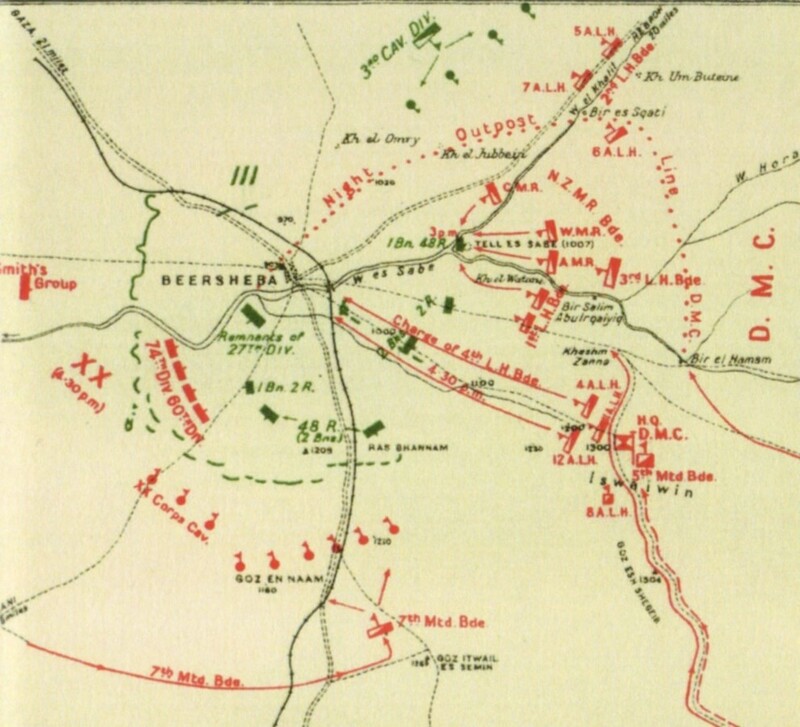 In the Battle of Beersheba, the British army was taking what used to be my hometown, Beer Sheba from the Turkish army. The city was conquered mainly by Anzac cavalry. However, it would be impossible to take the town (whose main importance was, and still is, as a junction point) without heavy infantry involvement to the west of the parochial town. From there the joint British Anzac forces, split in a fanlike movement to Gaza in the west, and Hebron and Jerusalem in the north east and all the way to the north. And what was until then part of the Damascus province became Palestine (and later part of Israel). But as time passed something odd happened. We, the locals, remembered only the Anzac cavalry battle and somehow completely forgot all the rest i.e. the Infantry and even two pilots (English, and Australian) who took part in the battle in the area, and were buried there. It is hard to say why. Is it somehow the romantic notion of a bygone era versus brutal and unglamorous modern warfare that makes us remember the cavalry and forget the rest? If so one might assume that it was, in hindsight, the last battle of its kind. Furthermore it took place in the ‘Holy-Land’ at the town of Abraham against the ‘infidel’ and the ‘Bosch’. One might assume that it struck a chord with the general public and could be used for propaganda purposes. On the other hand, could it be more a reflection of the Israeli attitudes following the War of Independence and the resentment created during the British rule of the area? Either way, the results were the same. 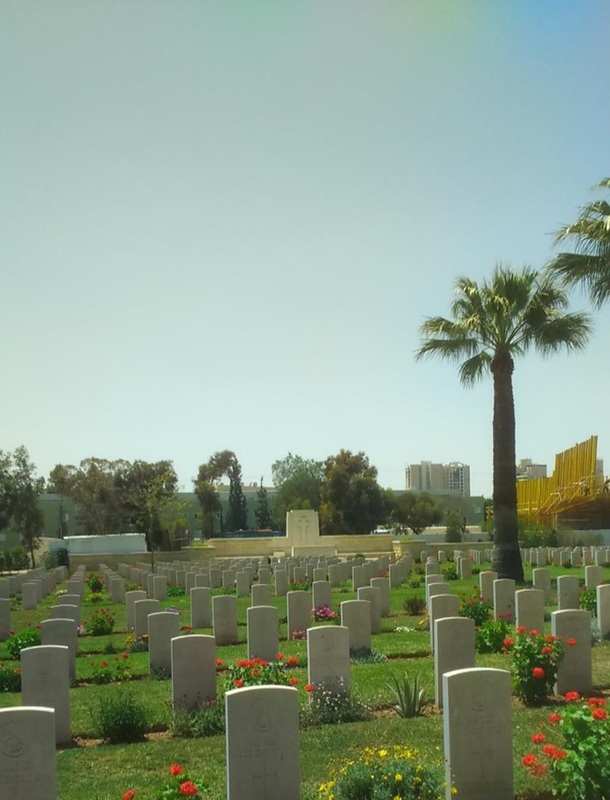 We all believed that the WWI cemetery near the old Ottoman Turkish station was solely occupied only by Anzac soldiers. I think I would still believe it to be so to this day, if I hadn’t moved to North Wales and met several locals who told me that their great-great uncles are buried in Beer Sheba Israel. 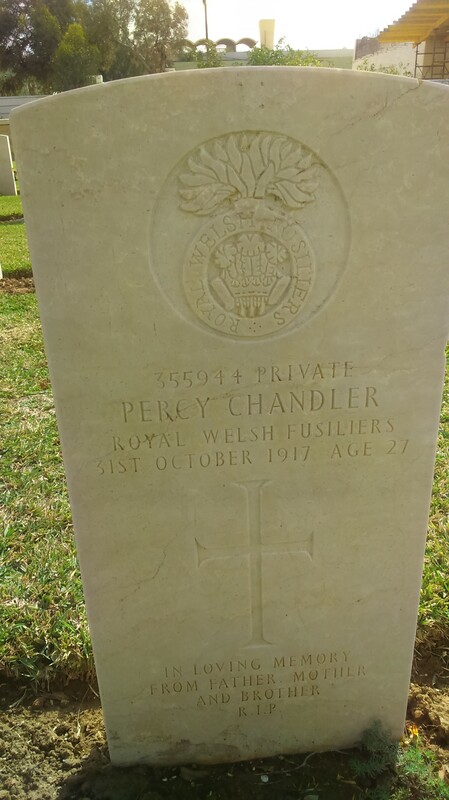 When I finally visited the cemetery, I found that, contrary to popular belief, most of the graves are not of Anzacs – of 1179 graves at least one third are graves of Welsh soldiers. Furthermore approximately 80% of those who killed on the day of 31st October 1917, did not belong to the Light Horse Brigade, ie. 80% of the casualties were British. Which, again begs the question of how and why we choose to remember historical events. 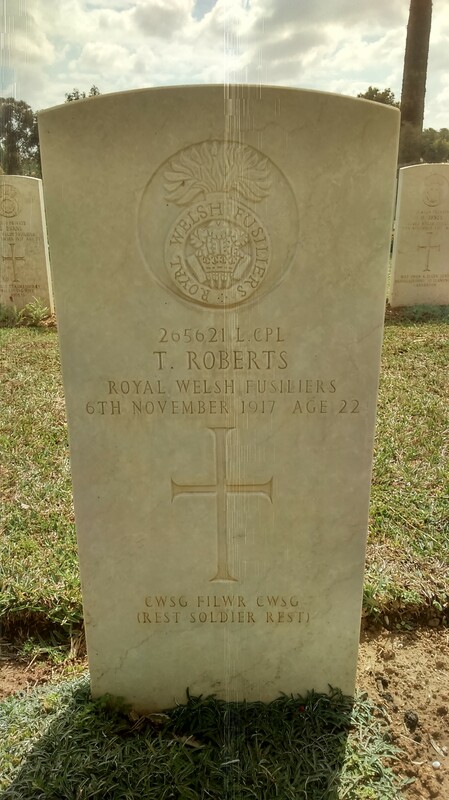 It would be interesting therefore to find letters and photographs of those Welsh soldiers who died and are buried in the Beer Sheba Cemetery so that after a century in which they were forgotten by history we could bring their memories, thoughts and experiences back to life. By doing so I hope we could learn something about how the lives of their families and communities were affected, and a bit more about the consequences of war. And some Welsh soldiers came from South Wales like Private D.E. 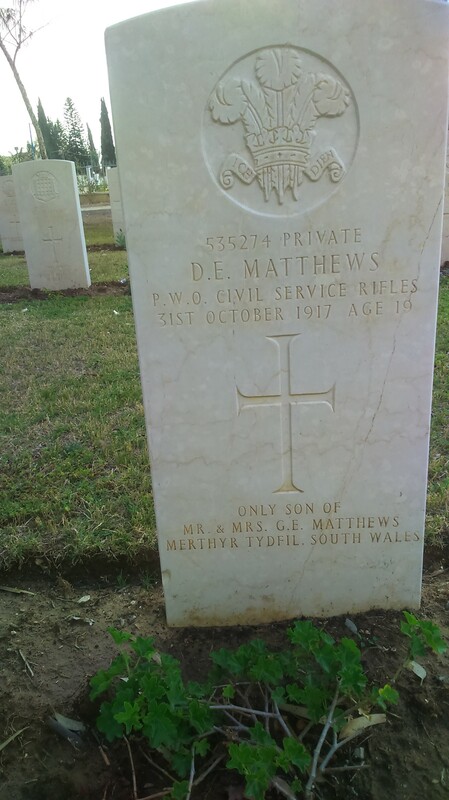 Matthews from Merthyr Tydfil, of the Civil Service Riflemen. 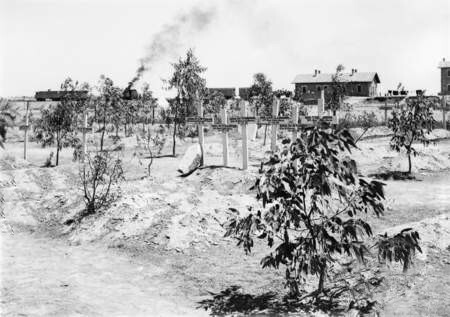 Above the WW1 cemetery shortly after the capture of Beer Sheva. See the train station master’s house (mid building) and the train in background and possibly a convoy of camels between the two buildings. Temple Tales #2: ‘A Man and his Monument’: the real David Davies? Maggie Smales, volunteer with Wales for Peace, explores different perspectives on Temple of Peace founder David Davies. I am currently helping to sort out the archives belonging to the Welsh Centre for International Affairs (WCIA). In a box with materials about the Temple of Peace and Health, I found the transcript of a BBC radio programme which provides an unusually intimate portrait of Lord Davies: the Liberal statesman, philanthropist and the force behind the Temple. The BBC’s Home Service in Wales commemorated the occasion of the 25th anniversary of the Temple of Peace and Health in Cardiff in 1963 with an hour-long radio documentary on the life and work of David Davies, “A man and his monument”. John Griffiths– who compiled and narrated the programme- used a mixture of interviews and recordings with people who had known Davies well, from his associate Sir Wynn Wheldon to his chauffeur. The documentary built a picture of the man and the two causes to which he devoted his life: social health and international peace. David Davies was born into a wealthy family and given the same name as his grandfather, David Davies of Llandinam. The Welsh industrialist and Liberal politician had first founded the Ocean Coal Company in the Rhondda, before building Barry Docks and the connecting railways to export his coal. Like his grandfather, David Davies was a Calvinistic Methodist by upbringing, a teetotaller and firm about his Sunday observance. In 1906, at the age of 26, Davies became MP for Montgomeryshire. Apparently, it was touch and go which party he would join, his grandfather having broken with the Gladstonian Liberals over Home Rule for Ireland. But in the end, as Sir Wynn Wheldon put it “the Liberals got hold of him first and they found him for a good many purposes a very valuable Liberal.” In his early days in Parliament Lloyd George apparently dismissed Davies as “the Golden Calf”, just a rich son of a rich father, but he soon began to demonstrate the shallowness of this judgement. Davies was prominent in the 1910 public meeting in Shrewsbury to decide how Wales could best commemorate the recently deceased monarch. He was a driving force behind the decision to set up the King Edward VII Welsh National Memorial Association (WNMA) for the eradication of tuberculosis, a particular scourge in Wales at the time. He himself gave £150,000 towards the eventual £300,000 raised and his sisters Margaret and Gwendoline also made substantial donations. He continued to be heavily involved with this health campaign after the war. In 1920 he endowed a Chair for the study of tuberculosis in the Medical School at Cardiff University. Following the 1921 Public Health (Tuberculosis) Act, which compelled all local authorities to make some provision for TB, he, “moved heaven and earth”, according to his private secretary, to ensure that the WNMA would cooperate with the national scheme and become, in effect, a joint board for the whole of Wales. At the outbreak of the First World War, Davies was given the command of the 14th Battalion of the Royal Welsh Fusiliers. 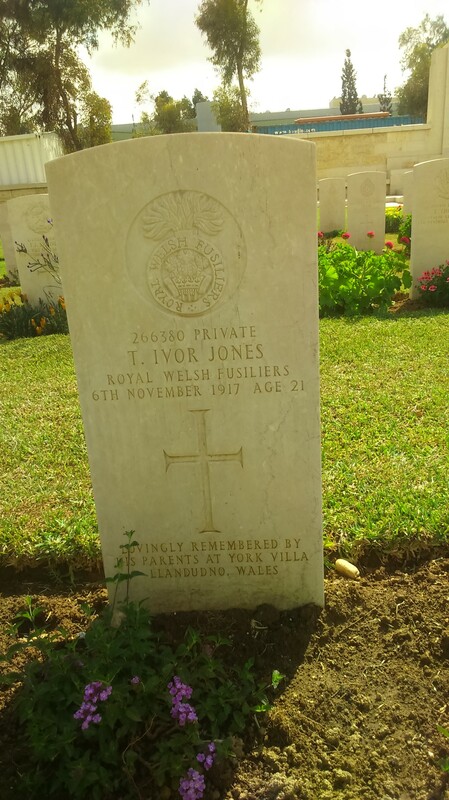 He is recorded as having driven his men and officers to the limits of their endurance when they were training in Llandudno to make them war ready – perhaps he had an inkling of what was waiting for them in France. Once in the field he also, “made good certain deficiencies of supply out of his own pocket, providing his men with fishing waders (to wear in the trenches) …and his unit with field telephones”. It is recorded that he did not get on well with the Higher Command and was perhaps “too original for them”. Towards the end of 1916, Davies-who was still a serving MP- was brought back from the front to become Lloyd George’s Parliamentary Private Secretary. He lasted for less than a year in the post as he was far too opinionated for Lloyd George. Davies’ experience in the trenches made him a passionate advocate for peace-making. In 1917, before the end of the First World War, he founded the League of Free Nations Association with HG Wells and Gilbert Murray. In 1918 this merged with another group, the League of Nations Society, to form the League of Nations Union, with former Foreign Secretary Sir Edward Grey as President. Davies was later to endow the organisation in Wales with enough money to meet the cost of its administrative staff. In 1919, he also funded the world’s first Chair of International Relations at Aberystwyth University College. Davies had many other interests. He realised the importance of better housing, especially in the fight against TB, and encouraged T Alwyn Lloyd to develop model housing estates in places such as Machynlleth and Wrexham, and after the First World War, Rhiwbina. He was interested in agriculture, bailing out the debts of the Royal Welsh Agricultural Show on more than one occasion, and loaning out prize bulls and stallions to local farmers in his county to improve the quality of livestock locally. He gave away parcels of his own land to form playing fields in Machynlleth and Caersws and encouraged neighbours in mid-Wales to do the same; he helped fund village institutes including the pavilion in Newtown and also sent one of his staff to help set up the first Miners’ Welfare Scheme in the Rhondda. But the League of Nations Union was his abiding passion. Davies was never a pacifist – his vision of the League of Nations included the concept of an International Court of Equity to intervene in disputes and an International Police Force to carry out its decisions. Here he parted company with much of the interwar peace movement, including the Peace Pledge Union, and what he saw as “negative disarmament”. After resigning as an MP in 1929, he spent much of the 1930s campaigning for an armed League of Nations, including founding an organisation called New Commonwealth in 1932 to promote the idea of an International Police Force and writing several books and political tracts. In the late 1920s a plan was emerging to build a headquarters for the WNMA in Cathays Park in Cardiff on a site donated by the City Corporation. Davies saw this as another opportunity to promote the cause of peace by including in the proposal offices for the League of Nations Union in Wales and a Temple of Peace “which will be an example for the whole world”. This inevitably involved considerable extra expense, especially as Davies envisaged a grand Hall of Peace built with material from all parts of the world. The WNMA agreed to contribute just £12k (the capitalised value of its £500 annual rent) towards the eventual £85k cost, and David Davies provided much of the remaining funds whilst furnishings in the Temple were the gift of Misses Margaret and Gwendoline Davies. Davies’ factotum Captain Glen Jones noted that while Davies had a proper familial affection for the two “he always brought in his sisters… he always wanted to screw out of them any contributions” for whatever project was occupying him at the time. The foundation stone for the Temple of Peace was laid by Viscount Halifax in 1937. Ironically, Halifax went on to be Foreign Secretary and one of the architects of the policy of appeasement towards Hitler which David Davies himself resolutely opposed. By the time the Temple was formally opened in November 1938, Hitler had already marched into the Sudetenland, and despite PM Chamberlain’s hope of “peace in our time”, war was in the offing. Sir Wynn Wheldon believed that Davies’ premature death from lung cancer in June 1944 was caused at least in part by his feelings of impotence in the face of the second great war of his lifetime. “He had to pay the price physically – he didn’t live to be an old man”. Davies had become embittered in the 1930s when he could see that war was imminent and governments and politicians refused to heed his warnings. As Wheldon explained, “if you have one thing burning in you all the time, people tend to avoid you. He didn’t always find the welcome that the splendour of his own ideas and the amount of work, money and time he had given to it, really deserved. He became in a sense tedious”. “A man and his monument” was broadcast on 21 November 1963 by the BBC Home Service in Wales.